Unique Mother’s Day photo gifts that will make every year memorable are available from us at Light Affection. 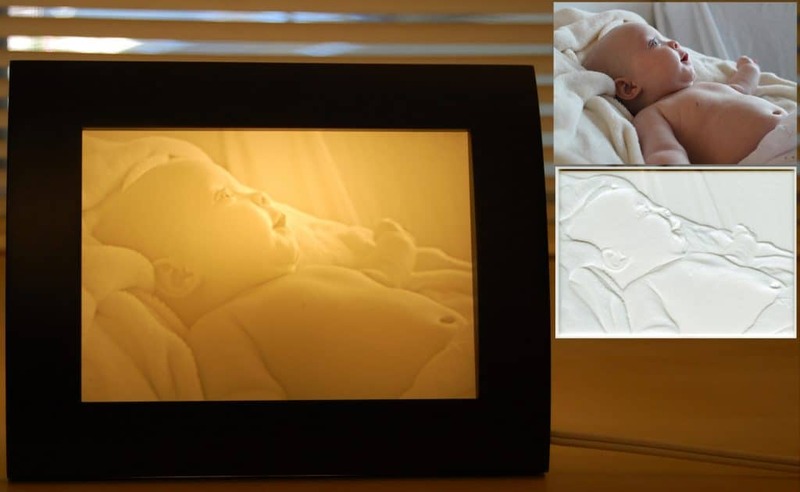 We can turn your favorite “Mom” photo into a lamp or night light for any room in the home. She will be surprised at the personal touch and pleased with the appearance. Our lamps will go any place where there is an outlet and a table, desk, night stand, or shelf. Click Here for more information on our Mother’s Day Photo Gifts! Give your mother something to show off at the office when you give one of our carved light photos. You pick out a photograph that has a special meaning to her, send it to us, and we will carve the picture out of material that allows the illumination from the back to shine through. Every day will be a special day when you give a Mother’s Day gift with light. If you have a digital camera, you can take pictures, put them on your computer, and then upload your choice with your online order. If the picture you want to use to design the personalized gift for your mother is in your photo album, you can either send us the picture and we’ll return it unharmed, or you can scan the picture and upload it to us. Either way will work for us. At Light Affection, we give the personal touch new meaning. Our lamps and night lights add beauty while continually reminding those we love about special moments and events. Let your mom know just how special she is by ordering her next gift from us.